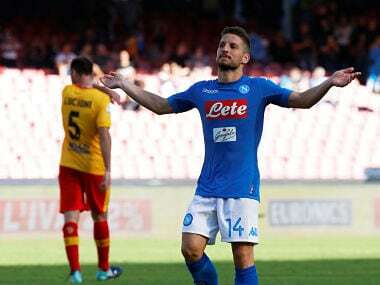 Milan: Napoli coach Maurizio Sarri’s only regret over his decision to field Dries Mertens as a striker is that he did not think of it earlier. Mertens, by nature a winger, has thrived since Sarri redeployed him in the centre-forward role one year ago, turning into one of Europe’s most prolific strikers with a tally of 34 goals in 46 matches in all competitions last season. Having found his ideal position at the age of 30, Mertens has begun the new campaign in the same vein, hitting six goals in Napoli’s opening five league games including an outrageous effort in their 4-1 win away to Lazio on Wednesday. 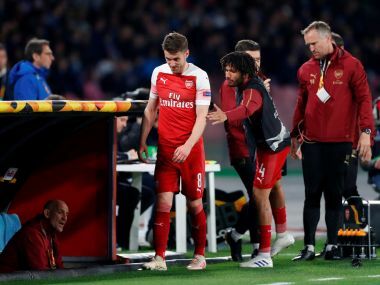 In a moment which Gazzetta dello Sport said was reminiscent of Diego Maradona’s heyday at the club, the Belgian chased after a loose ball as it rolled towards the touchline, turned and whipped a lob into the top corner from a seemingly impossible angle. 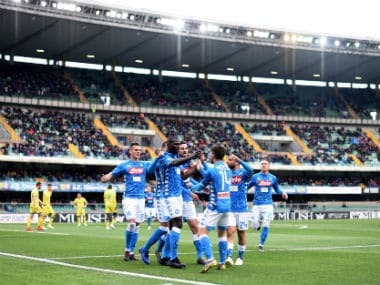 The goal helped Napoli to their fifth straight win of the season, putting them level on 15 points at the top of Serie A with Juventus. 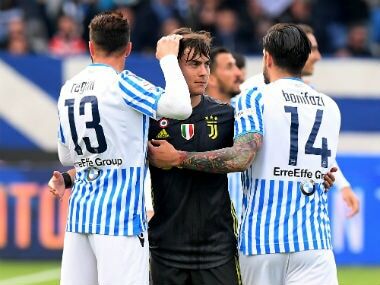 They visit promoted SPAL on Saturday. “It was an amazing goal and left me with really strong emotions. Mertens just keeps getting better and is becoming truly world class,” said Sarri. 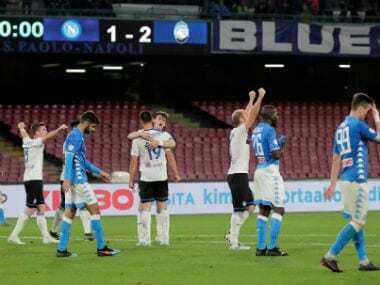 Sarri stumbled across Mertens’ most productive role after Polish striker Arkadiusz Milik suffered a knee injury one year ago. Until then, Mertens had mainly played as a winger and had not even been a regular starter for Napoli, where Lorenzo Insigne usually got the nod ahead of him. “To be frank, I was fortunate to discover him as a centre-forward... and we didn’t think he would become like this,” said Sarri. Milik, meanwhile, has recovered from his injury but has not been able to win back his place. Mertens has always had a reputation as a late developer. Raised at Anderlecht, he then moved into the Dutch second division with AGOVV and only started playing regular top-flight football when he was 22, with Utrecht.